Anyway gone are the days when we have to have a 2X iPhone display TomTom have done a good job on creating a iPad Navigator with integrated (in-app purchase) HD Traffic. The app will be available in about 4 weeks and will be free to existing iPhone app owners. 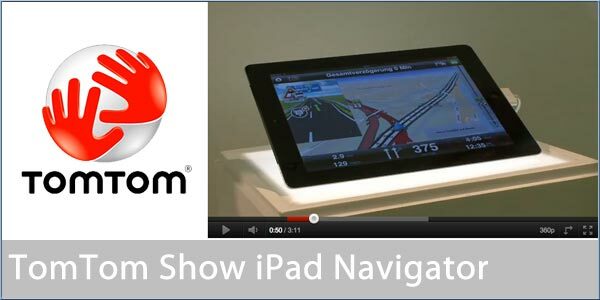 Our video shows the software being demonstrated on the TomTom stand at the IFA Expo in Berlin. Samsung Galaxy S4 +Samsung Tab 3 7"
If you have an iTunes account that you sync both iPhone and iPad to then it will just install through iTunes. If you have an HD Traffic add-in you can switch between iPad and iPhone, but it will take 3 hours to transfer. I just saw another pig flying past my office window... Don't hold your breath!